Real Madrid will be looking to grasp their sole straws of the season as they face PSG in the Champion League knockout stage next week. The Spanish giants are on a two-title Champions League streak, and an otherwise underwhelming season, particularly in the La Liga, will mean that Zinedine Zidane’s will have an alternate, more familiar route to redemption. In their way stands a defiant PSG, who have already been stamping their lethal presence in Europe, and the manner in which their summer signings Neymar and Kylian Mbappe have been performing doesn’t hurt either. In the Ligue 1 alone, the Parisians have found a whopping 75 goals already – a European best. With the likes of Modric, Kroos and Casemiro in the heart of their play, Madrid certainly have one of the finest lineups in the world. However, it is the manner in which Zidane is able to deploy them that will be crucial in determining how they will fare against PSG. With formations of 4-3-3 and 4-3-2-1 being the likely tools in his arsenal, Zidane will have to be wise in his selection. While 4-3-2-1 would give the added weight of a central attacking midfielder, its success is questionable, particularly due to Isco not being able to compensate what having Benzema would naturally do. In fact, their 1-0 loss against Villarreal back in January is great evidence that while it is a better option in terms of holding possession, the formation often leaves them toothless. A similar woe was in evidence when the 4-1-3-2 variant was tried against Barcelona, which ended 3-0 to the Catalans. With 4-3-3, Kroos and Modric can be a creative source of both goals and assists, and due to the fluid manner in which PSG function, not changing their preferred style is bound to translate into success over the two legs. With a league tally of 48 goals and counting to their name, this will be a no-brainer. Mbappe, Cavani, and Neymar can be lethal when allowed to reign as they please, and that is often granted to the trio by a majority of the French teams. 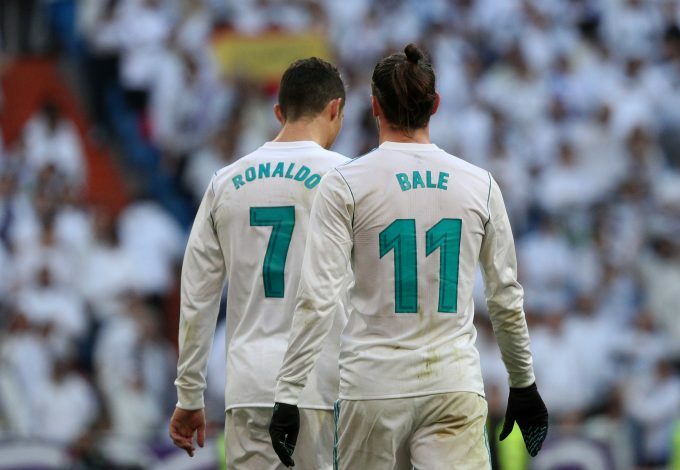 Real Madrid, however, could prove to be a tough nut to crack. Despite being defensively shaky this campaign, the talents enshrined within Sergio Ramos, Marcelo, Raphael Varane, and in recent games, even Nacho Fernandez, is not one to ignore. If they are to fully contain the threat posed by PSG’s attack, the entire team must be shaped with that intention in mind. Being endowed with a pacey roster will mean that Zidane can easily pinpoint which of his players will be marking the trio. If done right, the result will be a disconnected Mbappe, whose source of creativity will mean that Neymar and Cavani will have to venture out on their own in solo plays. Amongst the two, only Neymar has a flair for assists, and that might not be enough to counter Madrid. Cavani’s 4 assists combined with his tally of having missed 16 big chances en route to his 21 goals will mean that while not a Herculean task, a broken down MCN will be the key to Madrid’s success. This point further reiterates that Madrid will go through into the next round not by scoring goals, but by ensuring that PSG don’t score enough. And the biggest chink in their armor will be their full-backs. Los Blancos are renowned for the high-line that their full-backs often keep, as a result of which Marcelo is often the added threat up front. What this does, however, is leave them open to the threat of counterattacks, and that is one area where Madrid have suffered well and enough so far this campaign. With the pace of Mbappe and Neymar and the creative endeavors of Di Maria, counterattacks will most certainly be Unai Emery’s weapon of choice when it comes to ripping Madrid apart. By playing defensively and frustrating the Madrid attack, if the full-backs indulge in their usual antics, both legs can be easily killed off when PSG play the waiting game. But by specifically instructing Marcelo and Carvajal (second leg) to refrain from doing so, much can be achieved. A well-shaped front three from Madrid will make the need for support from the back unnecessary. While the Parisians do boast of the likes of Thiago Silva, Marquinhos, and now Dani Alves in the back, they haven’t linked up as well as it might seem over the campaign, which is arguably PSG’s biggest flaw, and this is one that many of the French sides have simply not tried to exploit. Zidane, on the other hand, is bound to do so, and has the apt players in his roster to play the frustration game on the opposite side instead. Besides, it is here that Madrid’s experience and rate of success in knockout stages will come in handy, as the side will look to play a mature game over both legs, and will seek to capitalize on PSG’s almost predictable offensive flair in the opening leg. The rest will be up to Madrid doing what they do best. It is no doubt that despite being the defending Champions, Real Madrid will head into the fixtures as the underdogs. However, this is certainly to their advantage, as they will prove to be the complete test of PSG’s rather loud claim to European glory.